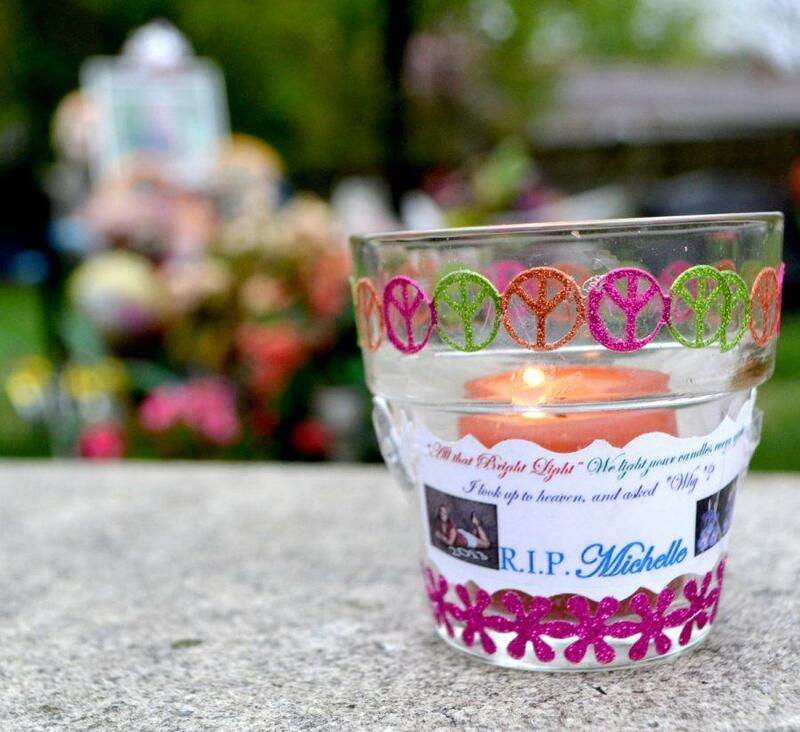 Members of the Rockville community remembered the life of former RHS senior Michelle Miller at a candlelight memorial service April 8 at Miller’s grave site at St. Mary’s Church cemetery. Senior Hayley Egart came up with the idea of having a candlelight memorial for Miller and proposed it to Miller’s parents. The day of the service, the Millers supplied candles while Egart announced the event on Twitter and Facebook. “It only seemed right to have another celebration of her life for her one year,” Egart said. At the service, the attendees gathered and made a circle to share memories of Miller and told stories of their friendships with her. On the anniversary of Miller’s death, players on the girls varsity lacrosse team wore the neon green T-shirts they made last year in memory of Miller to school. The girls took a team picture in the shirts with head coach Caitlin Ulmer during lunch. Current students as well as many alumni from Miller’s class took to social media like Facebook and Twitter to post and tweet about the anniversary of their friend and classmate’s death. Miller was killed by Army Sergeant Adam Arndt, a former member of her Army platoon, last April in a murder-suicide after she went to his house concerned that he was having suicidal thoughts. Arndt worked in human resources at the recruitment center Miller was involved with. News of Miller’s death was brought to students through a letter April 8 of last year. That evening, a memorial was held in which dozens of balloons were released into the sky, and a funeral service open to teachers and students alike during the school day followed the next day.